AUBURN, Ala. -- A college gymnast is asking social media users to stop sharing the video of her devastating leg injuries because "my pain is not your entertainment." 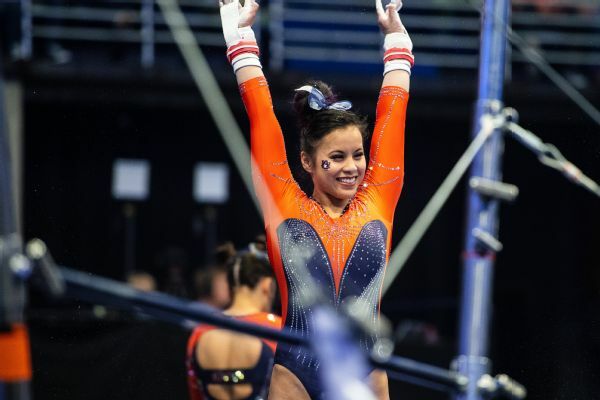 Auburn senior Samantha Cerio wrote on Twitter on Wednesday that seeing her "knees bent unnaturally in real life was horrible enough," but she says continuing to see the video and photos because people feel entitled to repost them "is not okay." Cerio's legs buckled during a floor exercise routine when she landed badly at the end of a tumbling run during an NCAA regional semifinal last Friday. She had surgery on Monday for injuries that included multiple torn ligaments in both knees.